H&M recently announced a special collaboration with Fashion Director of Vogue Japan Anna Dello Russo. Anna is an icon in the fashion world and my personal style inspiration. She is known for her extravagant wardrobe choices as well as her exquisite taste in accessories. I was thrilled to hear that she will be producing an accessories line for H&M. The sneak peak photo of Anna's new collection shows an array of rich colors like turquoise, gold and a bit of coral. I personally love this combination as it reminds me of something a Grecian goddess would wear. You can expect to see a range of glamorous, precious and playful pieces that are a direct expression of Anna’s taste for ornamentation. The collection will be available starting October 4th –the peak of the global Fashion Week tour – in approximately 140 stores worldwide and online. 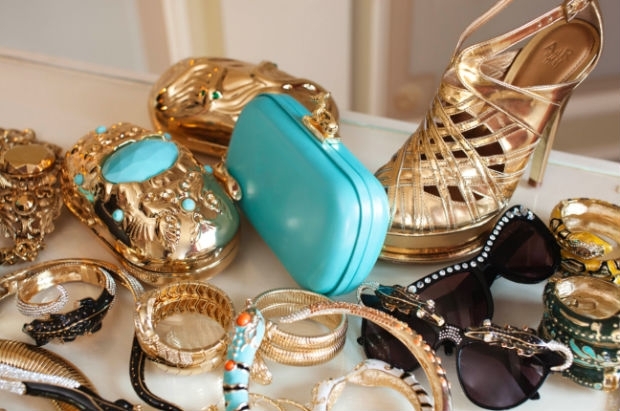 Dello Russo’s line will feature jewelry, sunglasses, shoes, bags and trolley- all designed so H&M customers can acquire unique style at an affordable price.